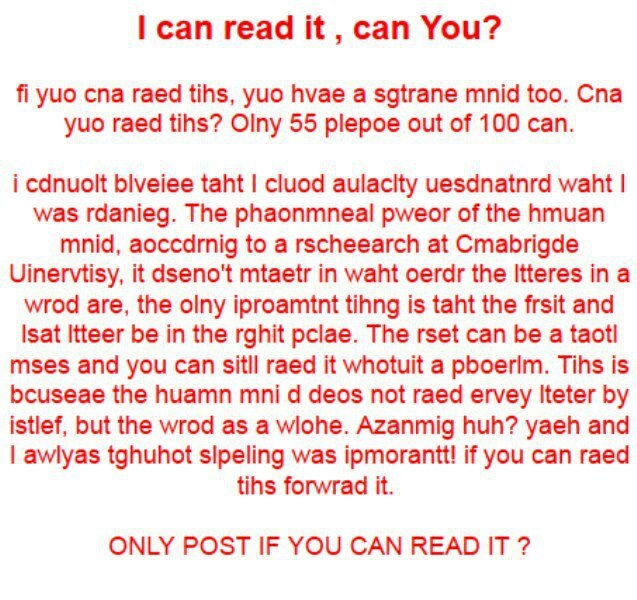 I can read this, can you? I was able to read it as rapidly as I could read normal passage. No difficulty. It just goes to show how powerful our minds can actually be. The potential is endless. Ha – I’ve seen something like this before and yes I could read that too – hehe! *chuckles* Not that i needed any confirmation that I have a strange mind….